"What Would You Do? 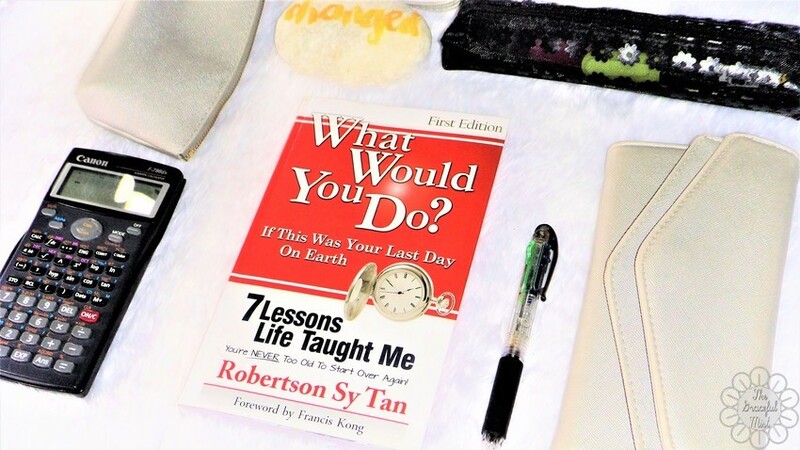 If This Was Your Last Day On Earth" by Mr. Robertson Sy Tan is an inspirational, motivational and financial self-help book which narrates the personal experiences and journey of the author in becoming the founder and CEO of Blade Auto Center. Title: "What Would You Do? If This Was Your Last Day On Earth"
Mr. Robertson Sy Tan is one of the leaders in the automotive industry. He is the CEO of Blade Auto Center. He graduated from De La Salle University with a Master`s Degree in Business Administration. He wrote the book, "What Would You Do? If This Was Your Last Day On Earth" which was first printed on June 24,2017. He lives in Manila, Philippines with Frances, his wife, Hannah, Redd, Daryl and Miles, his children. 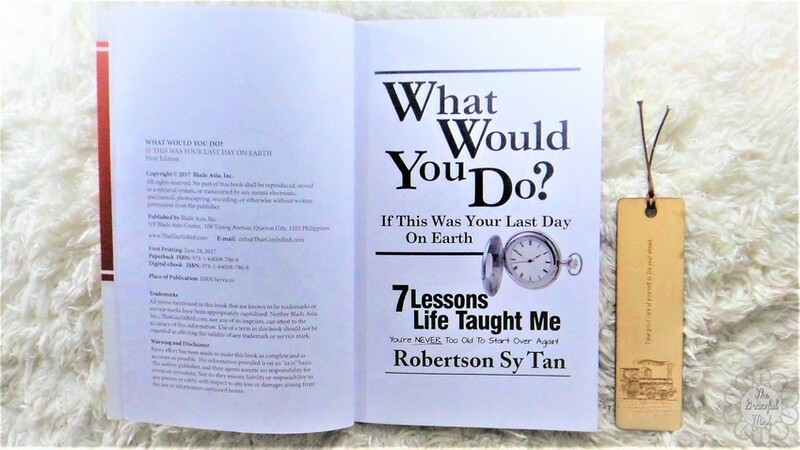 This book contains the personal experiences of Mr. Robertson Sy Tan with pictures and narrations, practical advice, and wisdom which are applicable to millenials, those who are doubting their capabilities, those who want to start a business, and those who feel that it`s already late for them to start anew. It`s a thought-provoking and relatable book because it recounts the struggles and successes of the author, and how he plans on living his life . It also contains life lessons that he learned in his journey. The book is sprinkled with many motivating and inspiring quotes from reputable and successful people, and also sound advice from the author`s own experiences. "Memento Mori" is a Latin proverb which means "remember that you have to die." It is a powerful and practical reminder that we are mortals. Even if we had been living a healthy lifestyle since birth, there will be a time we need to pass away. It`s the reality of the human life. This moving proverb makes me reflect about my choices and way of life. If I were to die tomorrow, will I have regrets? When I was in high school, one of the most inspiring teachers I had always told us, "do everything you ought to do now, because you might not have the opportunity to do it tomorrow." This wise advise always stuck to me even years later. According to Mr. Tan, when his uncle Neri passed away, it awakened him to the reality that life is simply too short not to chase your dreams and be who you want to be. We can have a lot of predictions and theories about the future, but it will often be uncertain and debatable. If this is the case, why not give today our full effort and passion in the hopes that the God of this universe will allow us to live more days to see our efforts into fruition? This is what Mr. Tan did by making a life-changing decision to start his company at 37 years old. Today, he`s the CEO of Blade Auto Center with many branches in the Philippines. We`ve got nothing to lose but the regrets we may have in the future about the things we should`ve done. This Latin proverb is a statement we ought to reflect on every time we wake up in the morning. As my high school teacher in Physics would say, "every sunrise symbolizes a new beginning." We can ask ourselves every morning, "what can I do to make this new beginning a new path to the right direction?," "how can I live out this day as if it`s my last?," and "how can I make the most out of every second that I have left?" We may not exactly know when we`ll die, but it doesn`t mean we have to be complacent in how we live our lives. Life is a blessing we ought to live out wisely. Just like the life-altering decision Mr. Tan made by quitting his job and starting his own company in order to chase after his dreams, we can make our own small or big choices today to make our dreams, goals and visions into realities. There`s a common saying that goes around like this: "Tell me who your friends are, and I`ll tell you what kind of person you are." This might seem quite vague and judgmental but it holds some truth and value. According to Mr. Tan, we need to choose our heroes or role models. I think this is also applicable to our group of friends or social group because it`s easy to be influenced by the people around us. We may say that we have a strong self-control. However, over time, other people`s actions, words, and character will eventually sweep their ways to our own daily activities. I realized that it`s significant to have people around that bring positive vibes. There are times we might fall short in the good graces of our family, friends and those who supported us. We may have some differences and misunderstandings that remain unresolved. However, the people who surrounded and supported us from the start are those we must treasure the most. They were the ones who cared and loved us despite our imperfections and shortcomings. At the end of all things, those who sincerely and truly cared about our well-being will still be there even if we fall down which is why it`s significant to appreciate all the help we`ve received in the past. Being humble and reflecting about our journey from the start will keep us grounded. Those who lower themselves will be lifted and those who uplifts themselves will be humiliated. Let us not forget those who were with our journey since the beginning. According to Mr. Tan, to prevent the future of becoming a "poor dad," a hard working employee who has good ideas but often clash with his boss, and a part of Robert Kiyosaki`s tale in his book, "Poor Dad, Rich Dad," he had to take immediate action. To do so, he needed a role model he can relate to and emulate to be successful. Finding individuals we can relate to and are successful at what they do will help us emulate their ways and character. A path to success that has been tried and tested will give us a shortcut to the kind of person we should be molding ourselves today. I`ve always wanted to start my own Youtube channel since I was 12 years old. I was first inspired by Mrs. Lindy Tsang-Ng also known as "Bubzbeauty," Ms. Angel from "Beautifymeeh," and recently, Miss Christina J. Duggan. There are many Youtubers that are very successful in financial and popularity aspects but lacks good character. I have inspirations in almost every aspect of my life. When it comes to spirituality, I observe the characters of those that preach in Youth church and Sunday services. When it comes to business, my very first role model was my mother who first taught me how to make money by simply selling "ice candies" in front of our gate. Most of my life, I observed and experienced her dedication and perseverance in the different businesses she has partaken in despite the rough roads she had growing up. I have many inspiration and/or role models I look up to for good guidance. It`s significant to emulate the good and excellent characteristics they have to achieve my dreams and goals, and to have a well-rounded life. We ought to humble ourselves and look for higher possibilities that we can achieve. Just like with Mr. Tan`s situation, if he became complacent because he already had a good job in his company for many years, he wouldn`t be the CEO of Blade Auto Center today and living out his dream. Many times, we think our situation is still "okay" yet it`s not. Most of the time, our complacency to make an action to achieve our goals is simply due to fear of the unknown or risks, laziness and/or lack of passion. We ought to strive harder, commit, be self-controlled and consistent in being the best version of our selves, and having the best possible life not only for ourselves, but also for our loved ones and others. If we stop trying, we stop living. Most great deals came about because of good relationships and network. In order to reach out to the right people, I need to stop building walls and build bridges instead. As a young woman who usually prefers to be alone and independent, this can be quite a challenge. However, building connections with other people also allows me to better present myself and allow others to understand my capabilities, boundaries and character. One way for me to build bridges is through blogging. Blogging allows me to share my thoughts and ideas freely at the same time get feedback from my readers. Building bridges will allow me and you to connect, share ideas, and possibly work together. In every endeavor, no matter how carefully planned, can still have many problems. Being faithful with my work, and to the God of this universe, can give me a boost of confidence that someone powerful and with high authority is backing me up. Keeping a positive character and keeping my eyes on the visions placed in my heart will keep me going in the rough roads that lay ahead in my journey. All-in-all, "What Would You Do? 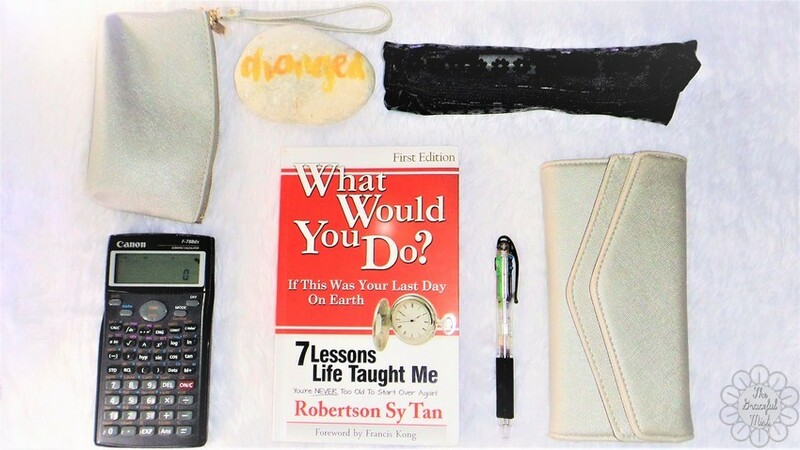 If This Was Your Last Day On Earth" by Mr. Robertson Sy Tan is a wonderful book that made me truly realize that it`s not too late even if you might think it is. The important thing to do is to always keep trying and persevering no matter how difficult it might be. 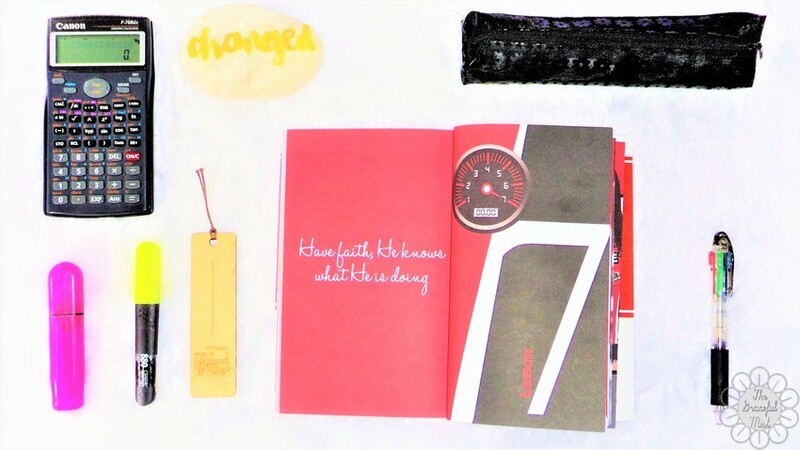 It`s a good book I can recommend to my friends and family because it`s relatable and motivating. Do you like reading inspirational and motivational books? Would you read this book? You may share your thoughts below. 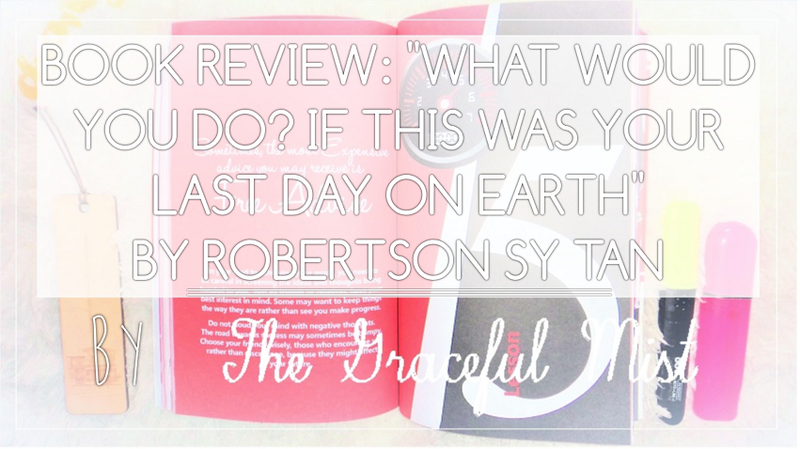 Disclaimer: The book, “ "What Would You Do? If This Was Your Last Day On Earth" by Mr. Robertson Sy Tan, was provided by Blade Inc. . However, all opinions in this blog post were written with utmost sincerity and honesty.